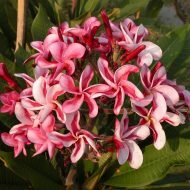 JLTL produces nice clusters of brilliantly colored reddish pink blooms with contrasting, bright white edges. 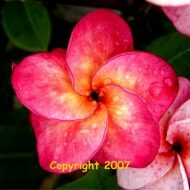 Oftentimes a light gold appears in the center, blending with the pink. 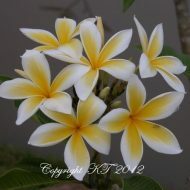 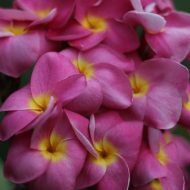 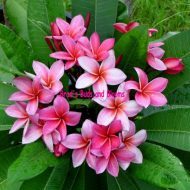 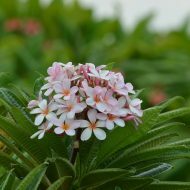 Flowers are 3.5” and have a lovely sweet fragrance. 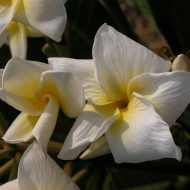 Trees and medium growers with thinner, graceful branches. 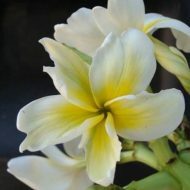 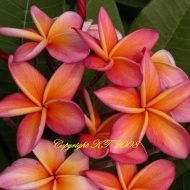 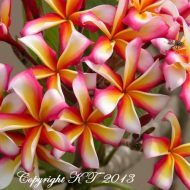 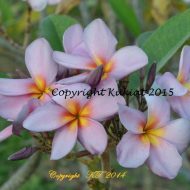 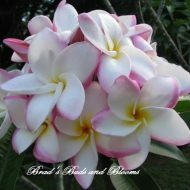 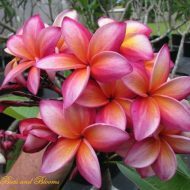 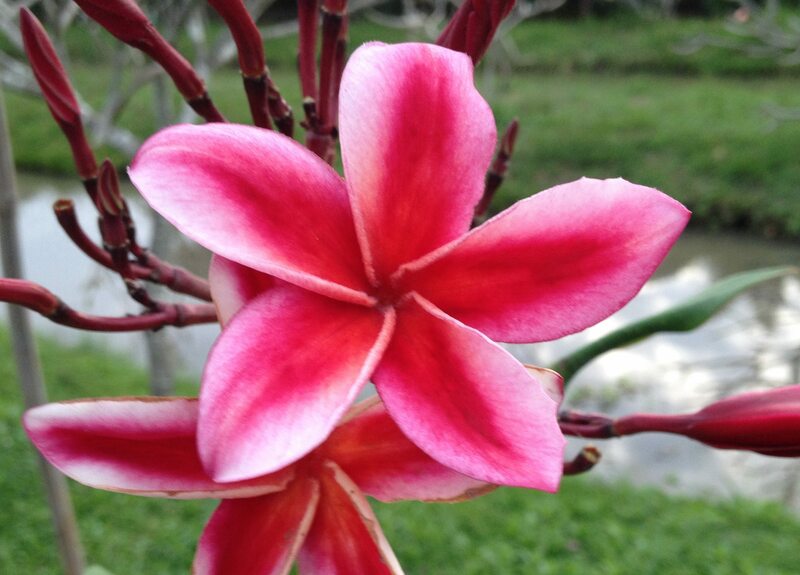 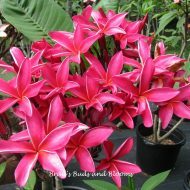 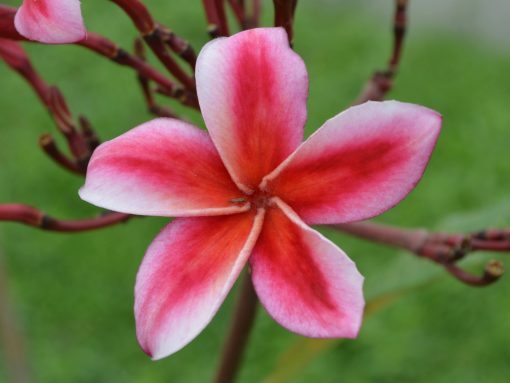 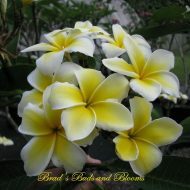 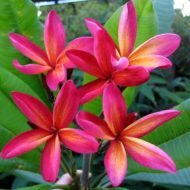 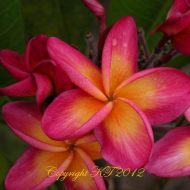 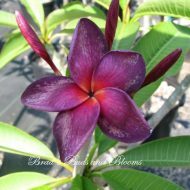 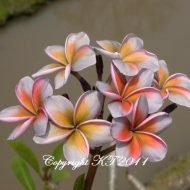 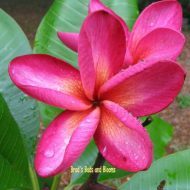 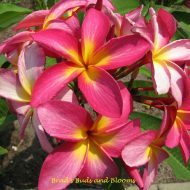 This is a very eye-catching Hawaiian beauty that is on a lot of peoples’ must-have list. 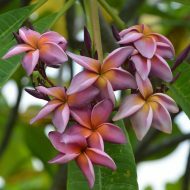 Unfortunately, it is also still somewhat scarce! 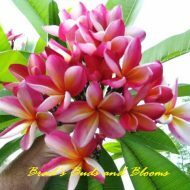 We have a limited number of grafts to offer this year. 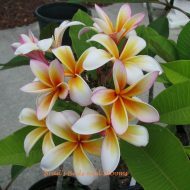 Grafted plants, 13-16” from the soil line.